Our cosmetic dental procedures. 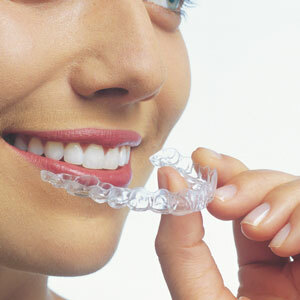 From straightening to whitening, we make your teeth bright and beautiful. This is not a comprehensive list of cosmetic procedures Dr. Fred Harandi specializes in. Please call for more information or if you have any questions! 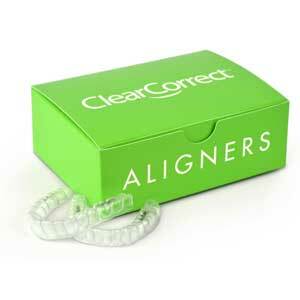 Clear aligners show off your smile, so most people won’t even notice you’re wearing them. It’s easy to remove aligners and eat whatever you like. There are no wires to trap food or get in the way when you floss. Crowns are used when a tooth is badly broken, has a large cavity, or has had a root canal so it needs to be better protected. First, we remove a layer around the tooth to prepare the tooth bed for the crown to be place. We then attach a porcelain tooth with a metal core on the base. Crowns are a great way to improve the overall look of teeth when the integrity of a tooth has been compromised. Everyone loves a bright, white smile. Our whitening procedures are done in-office with one visit while and dramatically change the overall look of your smile. 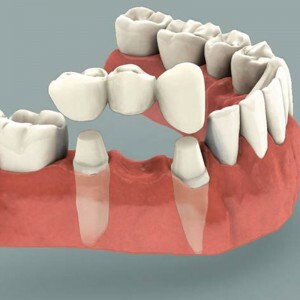 To replace missing teeth, fake teeth are attached to connecting crowns that attach to the patients existing teeth. 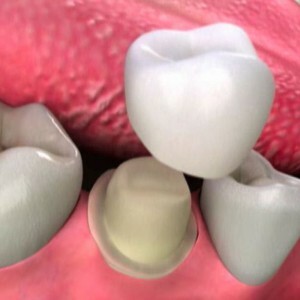 The connecting crowns are made by removing an outer layer of tooth structure to make room for crowns. We are experts in creating bridges that not only fit perfectly but also meld seamlessly with the rest of your smile. 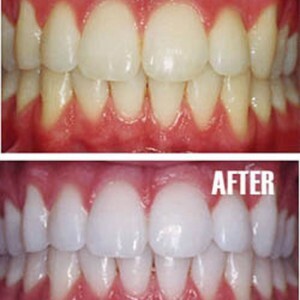 Our veneers can completely alter the shape and look of your smile. 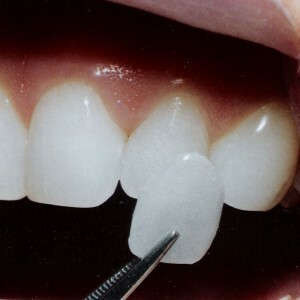 A veneer is a thin shell of porcelain that can be made into almost any shape and color and covers only the area of the tooth that can normally be seen. Want to get started on your perfect smile?